如果你正在尋找最funky的聲音，Proton就是你在尋找的聲音! 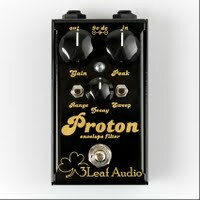 Proton以1970年代的經典Envelope filter – Mutron III為範本，Mutron III在70年代funk、soul盛行的年代為許多知名樂手所愛用，3Leaf Audio將其經典設計加以改良之後以Proton為型號推出。Proton的動態設計極佳，對於不同的彈奏力道、音色能夠產生微妙的動態變化，但保留了原始音色的特色，Proton保證會讓您感受到玩funk的樂趣! 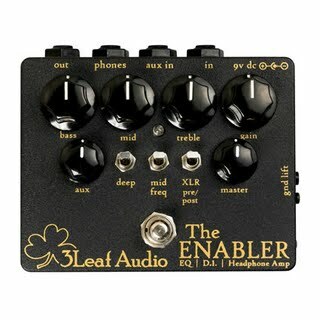 THE ENABLER – Bass 手的多功能瑞士刀! 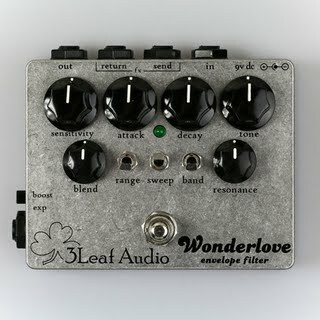 3Leaf Audio精心設計的超強功能”The Enabler” 整合了 EQ、Preamp/D.I.、錄音室等級耳擴、外接音源輸入等功能，你不會想錯過這一顆獨一無二的Preamp! 在舞台、錄音室或在家中練習，The Enabler都會是您不可或缺的多功能”瑞士刀”! Your’re Doom是一顆很特別的“動態泛音合成”效果器，它的音色合成電路依據輸入音色的動態產生類似合成器的獨特音色並且帶有特殊的八度音harmonic，如果搭配其他效果器更能產生意想不到的效果! 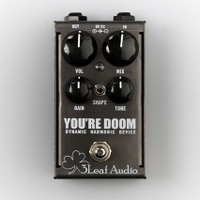 You’re Doom 適用於吉他/Bass! Wonderlove是經歷了四年的無數次研發測試的結晶，它的經典音色就以Stevie Wonder – ‘Higher Ground’的envelope音色為發想概念，加入了更多可變化調整的音色元素，Wonderlove絕對能幫助你發揮音樂創造力，而唯一能限制它的只有你的想像力! The Octabvre (pronounced “octave”) is a dual mode analog octaver that adds a harmonically rich sub octave to your instrument. It was designed with the input of bass player Tim Lefebvre, a man who has achieved great heights both musically and physically (he’s really tall). 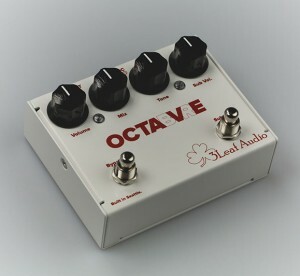 The Octabvre features a tone knob that alters the character of the sub octave. At one end it replicates the classic tone of the Boss OC-2, and at the other end it captures the gritty sub sound of the Mutron Octave. A second footswitch with a dedicated volume control solos the sub octave for 808-inspired sounds. The Octabvre utilizes soft-touch relay bypass switching for bulletproof operation and is powered by a standard 9vDC power supply.